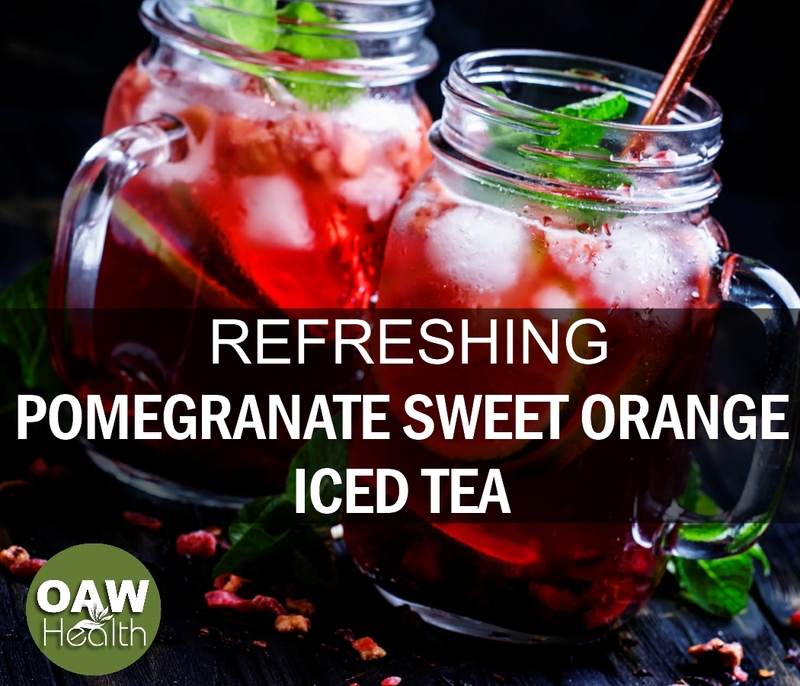 You can enjoy all of the amazing benefits of pomegranate by drinking this recipe for Refreshing Pomegranate Sweet Orange Iced Tea. Besides being great for your health, pomegranate sweet orange iced tea get high points in the delicious column. Pomegranates provide anti-oxidant, anti-viral and anti-tumor benefits as well as being a great source of vitamins such as vitamin A, vitamin C, vitamin E, magnesium, potassium and folic acid. 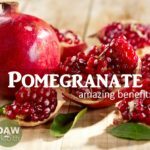 Another often over-looked health benefit of pomegranate is that it consists of three times as many antioxidants as green tea or wine. Tazo Wild Sweet Orange Caffeine-Free Tea is a naturally-sourced herbal blend of Lemongrass, Blackberry Leaves, Rose Hips, Spearmint Leaves, Orange Peel, Hibiscus Flowers, Rose Petals, Natural Orange Essence, Ginger Root, Licorice Root, Licorice Extract. 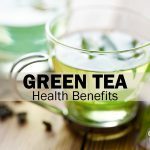 Tazo Wild Sweet Orange Tea can be found on the Internet and in many health food stores. Yield 4 Glasses | Always use organic ingredients when available. Take pomegranate seeds & crush in a blender for one minute. Use a strainer to separate pomegranate juice from seeds. In a pan add pomegranate juice and sweetener of choice. Keep heat on simmer 10 minutes. Add lime juice and stir for another 2 minutes. Leave the tea bags in for 3-4 minutes. Tea will be bitter if left in for a longer time. Use a spoon & fork to squeeze bags and then remove tea bags. Add an equal amount of the pomegranate mix to each glass of tea. Mix well & put aside to cool for 30 minutes. Decorate with Orange or Lime slices. 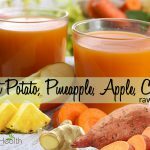 *If you would like to make up more than one glass at a time, place 8 cups of hot purified water over 8 bags of the Wild Sweet Orange Ice Tea. Allow to simmer for 3-4 minutes. Remove tea bags. Add the pomegranate mix and stir. Allow to cool before adding ice cubes.